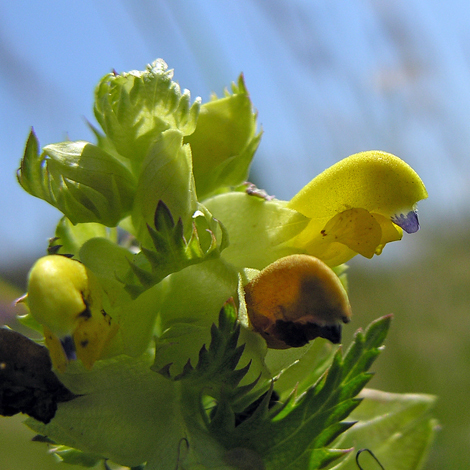 This Yellow-rattle doesn't look to the uninitiated hugely different from other yellow rattles. 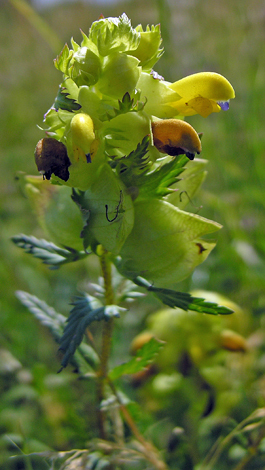 The shape of the flower, the inflated calyx, the projection of the violet blue teeth and the narrow leaves on the main body are the differentiating features. This is a well-known site for the flower which has been identified by experts. It is commonest in the London area but is dotted here and there throughout England and Scotland but there is little in Wales and none in Ireland.